Guest service is our number one priority The Lake Oswego Phoenix Inn Suites offers our guests spacious rooms with all the comforts of home in a quiet setting. A staff member is always available to assist guests with business or pleasure needs. The Phoenix Inn Suites is the perfect location at an affordable price- conveniently located in the Kruse Way Business Corridor- just off I-5. Downtown Portland is just minutes away. 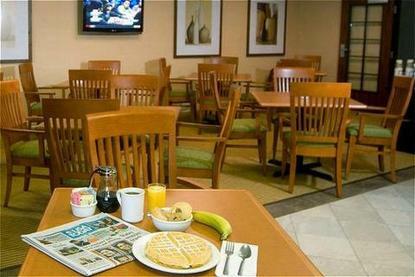 Our delicious breakfast buffet is always complimentary and a favorite amenity of our guests.